On this self-guided walking holiday in the Azores, explore two of the nine volcanic islands that make up this mid-Atlantic archipelago. Enjoy easy and moderate walks through forest, on red-dirt tracks and along craggy coastline. We recommend a waterbottle, sunhat, towel, sunscreen, repellent and sunglasses. You may find walking poles useful. If you would like to snorkel, please bring your own equipment. Sata (Azores Airlines) and TAP connect London Gatwick with Pico via Lisbon. Fly into and out of Pico airport. A private transfer will take you from the airport to your hotel on arrival. 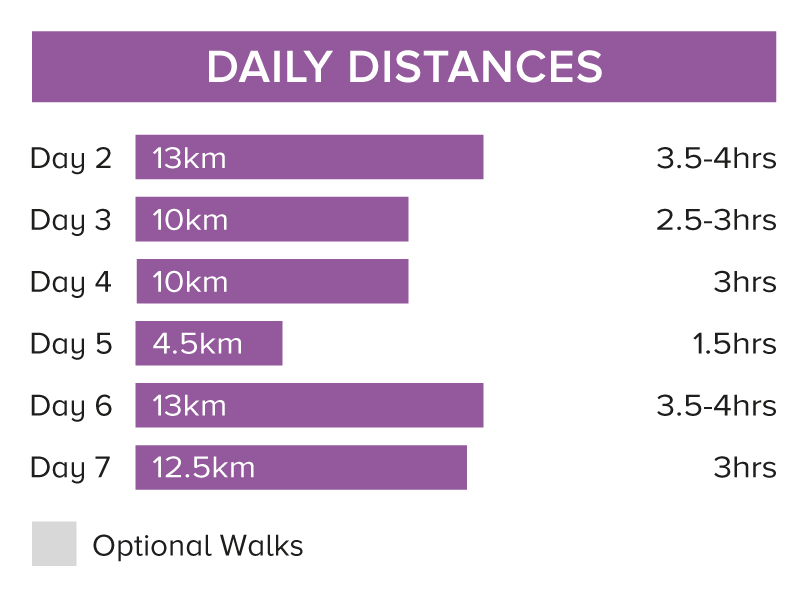 On this journey you walk 75km over 6 days (an average of 12.5km a day) with an optional to shorten days 2,5 and 7. 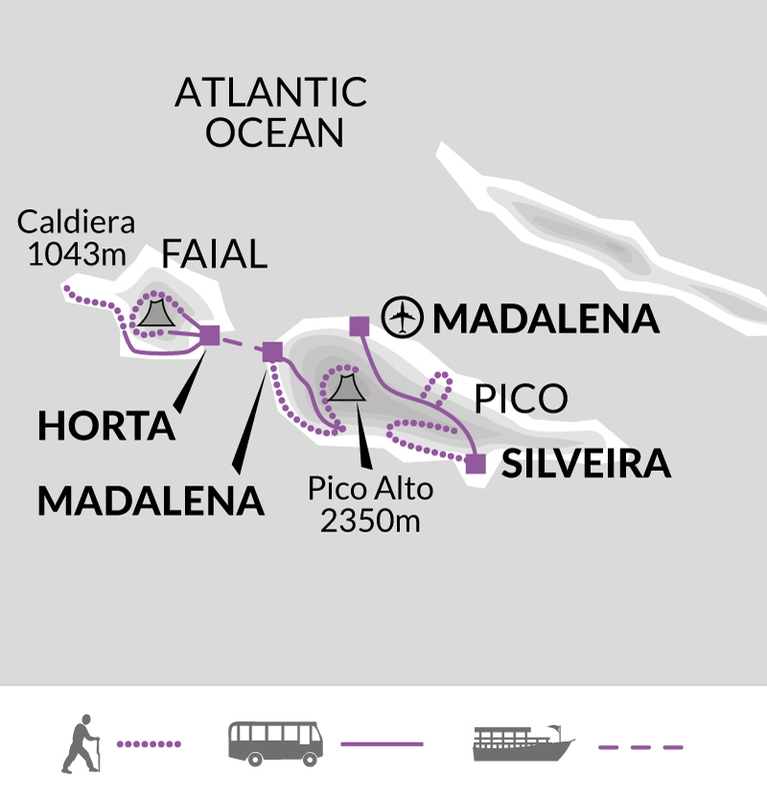 The walking routes of 1.5 to 4.5 hours, with an average ascent of 100m and descent of 250m on well-maintained unsurfaced track and footpaths, with occasional sections on surfaced tracks or tarmac roads when unavailable. We have graded this trip as moderate. Mon 29 Apr 2019 - Tue 15 Oct 2019 Your trip can depart anytime between the above dates. Contact us for triple room requests and solo traveller prices.